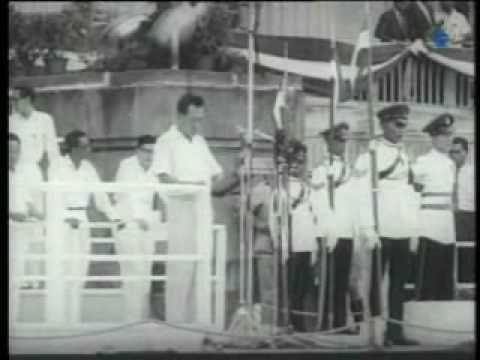 The National Day celebrations in 1963 held at the City Hall was Singapore's fourth as a state under self-governance. (Then) Prime Minister Lee Kuan Yew welcomed head of state Yang di-Pertuan Negara Yusof bin Ishak before giving a speech. The occasion featured march-past by the army, navy and police, amongst others, as well as sparkling floats with different themes. Berita Singapura newsreels were produced by the Ministry of Culture, Broadcasting Division, in various languages and dialects on the economic and social developments of Singapore in the 1960s.